Today I drove by the memorial for the victims of the Century 16 theater shooting. There were many people standing there grieving, most likely still in shock. I parked in front of the theater for a few minutes and tried to put myself in those poor people’s shoes. I couldn’t. There just isn’t a way to get a clear picture of this horrific tragedy. 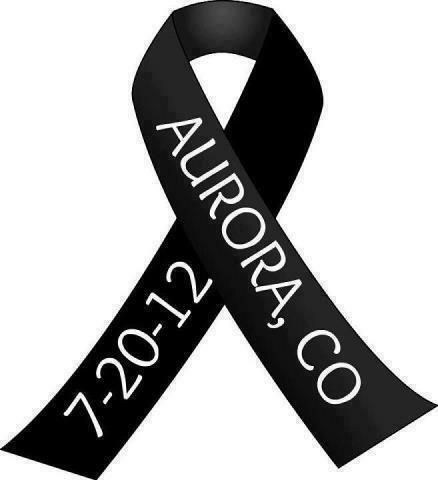 I feel so sorry for the victims and their families and know this will take a long time for everyone to recover from. After leaving there, I drove to where James (the shooter) lived. As stated in my previous post, I lived very close to him. When arriving to that location, I found that I lived directly in front of his apartment building! That was a creepy feeling. Another thing that was creepy is that the duplex that I lived in is GONE. That’s right, not there whatsoever anymore. The address that I lived at simply does not exist. I don’t know why, or when the house was torn down, but there is now just an empty space. All of this is just so eerie to me!!! I then left that area and had such a strange feeling, I proceeded to drive to the next apartment I lived in for the remainder of my childhood. It was still there. Along the way to that apartment, I looked over at my high school, and the place that used to be the ice cream shop that I got held up at, which is now a nail salon. I just happen to be a nail technician for a living now. Strange! To end the day, I sat in a parking lot outside of Buckley Air Force base, and watched Air Force one leave CO, with president Obama in it. He came and made an appearance and a speech, then headed of to the next place on his agenda. Geez, nice to see he isn’t THAT affected by the loss of another. His life will go on as planned, while other have no idea where to start picking up the pieces. There was a vigil at 6:30 this evening for the families, but he didn’t stay for that. I am not sure what tomorrow will bring in this sick case, but I can’t wait to see justice served!